January means the start of a new year and the release of a new edition of the collectable ALL GONE book, documenting a year of sold out product, rare releases and highly sought-after collaborations. 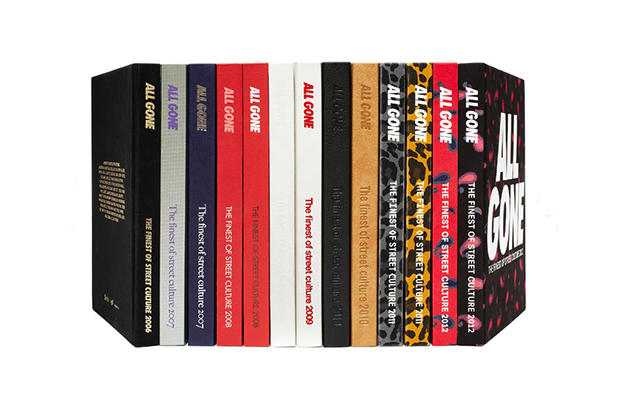 Now in it’s seventh year, the ALL GONE book will launch in London on February 2nd, following launches in Paris and Berlin, with the book’s curator Michael ‘La MJC’ Dupouy, making the trip to London to sign copies of the book. The 2012 edition follows last year’s leopard print cover with an allover paisley print in black or red. The black is limited to 1250 pieces, while the red is a little more exclusive with just 750 made. 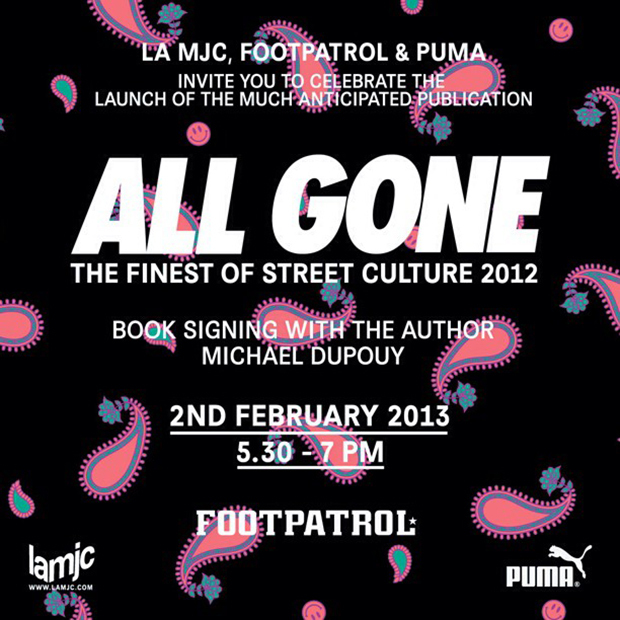 As with last year’s launch, the event takes place from 5:30pm at Footpatrol, in association with Puma, on Saturday 2nd February. You can expect to pick up the book there, with a handful of other stockists likely to be announced in the coming weeks. It’s also available online from ALL GONE now, where you can view a full digital preview.